Denver to LA is one of the prettiest flights in the world, but only for people on the left side of the aircraft. I flew this route twice last month, both on clear mornings, and the views were spectacular. Leaving DEN for the Rocky Mountains, there are great views of the rugged terrain of western Colorado. 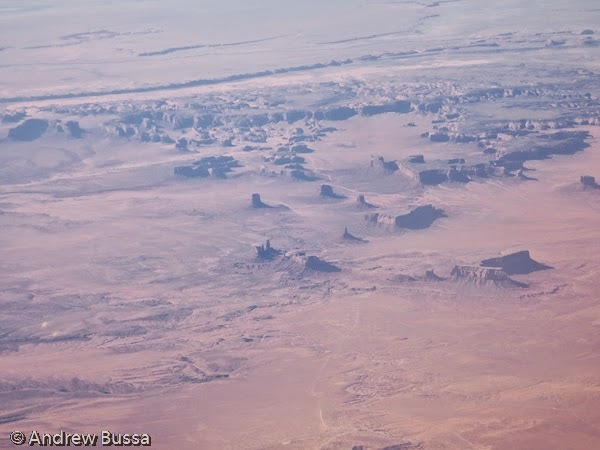 The flight goes southwest down to northern Arizona and Monument Valley followed by the Grand Canyon. 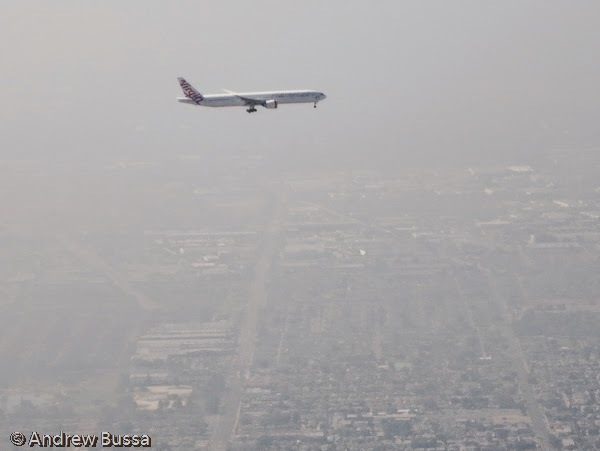 Then the mountains of southern California rise and then give way to the LA area and the airport. I was lucky and was also able to parallel landing traffic and enjoyed the long taxi around LAX with many foreign carriers to spot.